In 1994, a 12 year old Ashish Thakkar migrated to Uganda following his escape from the Rwandan genocide. He had his first business experience at the age of 14 when he started selling computers in Kampala the Ugandan capital. He sold his first computer to one of his dad’s friends and made a profit of a $100. An excited Thakkar then went door to door on the high street of Kampala trying to sell computers. He sold computers to his schoolmates, friends and to the high school he attended. When Thakkar turned 15 he opened a little shop, during the summer holidays, from where he started to sell computers. Due to his love for business and entrepreneurship, Thakkar continued to run the shop after the summer holidays and dropped out of school. His decision to stay out of school made his parents unhappy, they however allowed him to continue with the business on the condition that Thakkar would go back to school if his business never worked out. Owing to his high dose of positivity in realising his dreams, this young lad with no educational background nor practical experience, kept at it. He was persistent and never gave up, he took challenges as part of the process and faced them head on. He is today, the CEO of the Mara Group – a diversified conglomerate with interest in information and communications technology, media, manufacturing, real estate, and hospitality. Thakkar attributed his success to “a combination of passion, vision and determination”. He believed in a strong sense of perseverance, he was always thinking big and aiming high. His focus was his vision, his vision was his focus! In a recent interview, Thakkar admitted to having made a few poor business decisions – he stated that whenever he started a new project he rarely focuses on existing ones. To all young entrepreneurial inclined individual, Thakkar says, “always keep your eyes on all the balls, no matter how small or big those ventures are”. Thakkar’s success story is so big an inspiration. He built his empire all from scratch and he presides over a 5,000 workforce group that has operations in some 19 countries on four continents. The 30 year old who currently sits over an annual revenue of approximately $100 million was recently listed by Forbes as one of ten Young African millionaires to watch. And you know what Thakkar says?, – “I’m just getting started”! 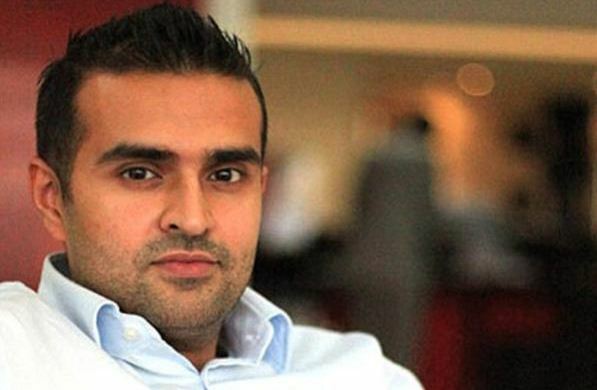 PS: Ashish Thakkar at www.mara.com provides an online mentoring network with the aim of connecting the entrepreneurial youths of Africa with established business people and entrepreneurs. Next Post CreativityTurf Update: We Have Been Busy!!! From my point of view this blog is great, and as a newbie to site building i will give you a A+ for this article . I think I will use a piece part of this site on my website and then link back to you. I hope that there is nothing against that.